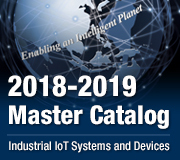 June, 2016 (Taipei,Taiwan) – Advantech’s Industrial Automation Group (IAG) is pleased to announce the launch of their complete series of 2.4G WISE-4000 IoT Wireless I/O modules which will revolutionize the way that data is gathered from remote or difficult to wire locations. 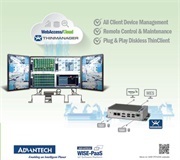 Now Advantech provides a complete wireless I/O solution which includes RS-485 port, analog and digital signal models. 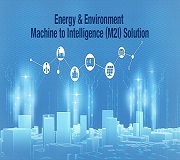 This combines the three core functions of data acquisition, processing and publishing into a single I/O module to meet the needs of a wide range of industries such as environmental monitoring, machine monitoring and smart cities. 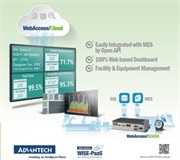 The new Advantech WISE-4051 is a wireless Ethernet I/O module which can be used without needing to go through a gateway to provide the information. This means deployment is easier because WISE I/O modules can be used to gather the data from any third party Modbus/RTU slave devices and connect to an existing network. With integrated digital input and RS-485 in same module, the WISE-4051 provides a flexible combination of I/O to acquire digital signal and data from Modbus/RTU slave devices. The RS-485 port of the WISE-4051 can also support data log functions for the data from Modbus/RTU slave devices with time stamp, preventing data loss compared to traditional transparent Ethernet COM ports (virtual COM of serial device server). It makes data more reliable during communication. 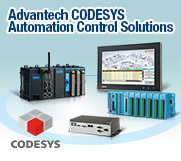 So it can provide high efficiency data acquisition for smart factories and smart city big data acquisition solutions. Compared to traditional transparent Ethernet COM ports, data should be polled from the master controller, the WISE-4051 can automatically push data to multiple cloud. The WISE-4000’s Data Logger can send time stamped information to a Dropbox account or a private cloud depending on the configuration and it can also buffer the devices’ data, so that in the event of network failure, no data is lost before it is sent to the administrator. The new Private Server function allows the WISE-4000 series to push data to a specific web server by the RESTful web service, and MQTT protocol with WebAccess. This helps system integrators reduce the effort of acquiring big data.